In the home builder arena, they face the ever growing threat of litigation as it relates to their performance in building homes, permitting issues, and licensing. It is true that home builders are under tough scrutiny with the current state of Texas law, especially surrounding residential home builds, but also in commercial construction, as well. If you have a real estate related issue in the Kaufman county area, Guest and Gray Law Firm is the law firm of choice for many real estate professionals and individual home buyers across the County. 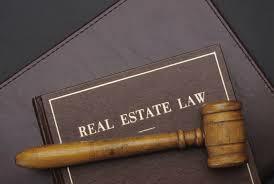 We have helped countless business owners, builders, developers and individuals in a wide array of real estate law issues. Give us a call today and set up a free consultation with our real estate and civil litigation attorneys. Our goal is to pursue your claims to the fullest extent of the law to put you in the position you wanted to be in when you entered into the deal. Period. So, do not wait until it is too late. Call Guest and Gray today!